The Nutty Professor (1963). Science-fiction comedy film produced, directed, co-written with Bill Richmond and Jerry Lewis. The score was composed by Walter Scharf. Professor Julius Kelp (Jerry Lewis) is a nerdy, introverted, accident prone, university professor who always seems to find himself in trouble with the university by continually destroying the classroom lab. When a football-player bullies Kelp, he decides to join a gym, with no results. He then invents a potion that turns him into the handsome, smooth, obnoxious, Buddy Love. As Buddy Love, he now as the confidence to date one of his students, Stella Purdy (Stella Stevens), who finds herself strangely attracted to him. Buddy impresses the crowd with his jazzy personality at the Purple Pit, a nightclub where everyone hangs out. He also teaches the bartender how to mix the cocktail, The "Alaskan Polar Bear Heater" (which is two shots of vodka, a little rum, some bitters, a smidgen of vinegar, a shot of vermouth, a shot of gin, a shot of scotch, a little brandy, a lemon peel, orange peel, cherry, and some more scotch). At one point, the bartender says: "You going to drink this here, or are you going to take it home and rub it on your chest?" Love says "mix it nice" and pour it into a tall glass. The bartender asks if he can take a sip, when he does he freezes like a statue. While the drink started as fictional, it now listed among real drinks. Later that night, Buddy performs at the student dance and while on stage, the formula starts to wear off. Will this Jekyll and Hyde's real identity be revealed? I thought Jerry Lewis must be a very talented actor to be able to manage two very distinct characters with two distinct personalities. Film debut of Henry Gibson. Buddy Love is often thought to be Lewis' former show business partner Dean Martin. Film Critic Danny Peary wrote in his book Cult Movies that the character of Love is actually the real counterpart of Jerry Lewis. Les Brown and his Band play themselves in the senior prom scenes. Stella Steven's costumes (and the rest of the casts costumes as well) were designed by Edith Head. The Nutty Professor was filmed mostly on the campus of Arizona State University (Tempe, AZ) in 1962 with the prom portion filmed in the newly completed Gammage Auditorium Hall (designed by Frank Lloyd Wright). Stella Stevens was first under contract to 20th Century Fox. Then after performing in the role for the musical Li'l Abner (1959), she signed a contract with Paramount Pictures (1959-1963) and later Columbia Pictures (1964-1968). 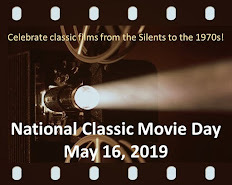 She shared the 1960 Golden Globe Award for "Most Promising Newcomer - Female", with Tuesday Weld, Angie Dickinson and Janet Munro for the film, Say One For Me. In 1962, Stevens performed with Elvis Presley in the movie, Girls! Girls! Girls. Later that year, she played Jerry Lewis's love interest in The Nutty Professor. This was followed by other comedy, The Courtship of Eddie's Father and opposite Dean Martin in the Matt Helm film The Silencers, plus How to Save a Marriage and Ruin Your Life. Stevens was featured in the western, The Ballad of Cable Hogue (1970) and in the film The Poseidon Adventure (1972), as the wife of Ernest Borgnine's character. 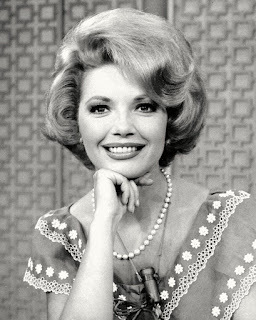 Stevens was a regular on the 1981-1982 prime time soap opera Flamingo Road. She teamed with Sandy Dennis in a touring production of an all-female version of Neil Simon's The Odd Couple, playing the Oscar Madison character. She had a contract role on NBC's daytime drama Santa Barbara as Phyllis Blake from 1989 to 1990. Stevens produced and directed two films, The Ranch (1989) and The American Heroine (1979). Dawn, this is a fun review of my favorite Jerry Lewis movie. Wow, given those ingredients, I don't think I ever want to try an Alaskan Polar Bear! What's interesting about NUTTY PROFESSOR is that Buddy isn't appealing at all--except perhaps in a "cool" way. So, the fact that Stella keeps a bottle of the potion at the end seems to indicate that it's not completely what's on the inside that counts. That theme gives this comedy a little punch. Unlike Rick, I would LOVE to try an Alaskan Polar Bear. I'm not a good drinker, so one would probably put me right under the table. I'm a cheap date! You know, I always thought the Buddy Love character was funnier than the Professor character. I'm not a huge fan of slapstick, but Buddy Love made me laugh. Stella Stevens was very cute in this. I always thought her best part was in The Poseidon Adventure. She gave it an element of raunchy, appealing fun, and did a lot to carry that movie. Thanks for an entertaining article with interesting trivia, Dawn. Indeed. If memory serves me, there are some dream sequences where he also plays other characters. I seem to remember Lewis in a playpen. The Nostalgia Critic has an interesting video comparing Lewis' Nutty Professor with the remake. I agree with Critic that Buddy Love seems like an insecure guy behing the gruff behavior. Dawn, this is an outstanding review. I haven't seen this movie in many years. I don't know why because I love it. Jerry Lewis is fantastic in this role. If I drank the Alaskan Polar Bear, I would so sick! My husband loved the photo of Stella Stevens. He has always liked her. A great review and I need to see this movie soon! Dawn, you have done a great job researching and writing about "The Nutty Professor." It has been too long since I have seen this movie and you make me want to do so again! I especially liked the photos you posted. The black and white picture of Stella Stevens is beautiful. Thanks Dawn for a great spotlight on THE NUTTY PROFESSOR. I love this movie, I think it's the best of Jerry's solo films. He manages to be so sympathetic as the klutzy and sweet professor and so repulsive as Buddy Love. Rick, Thank you, This is also my my favorite Jerry Lewis movie. I think I would try the drink "Alaskan Polar Bear", with my fingers crossed, hoping that I would not freeze up like a statue. I thought Buddy Love was a creepy guy. I never could figure out why Stella was ever attracted to him. Becky, Thank you. If you ever try the drink " Alaskan Polar Bear", please.. let me know how you like it. I will do the same. One of my favorite Stella Stevens performance, is when she played opposite Dean Martin in the Matt Helm film, The Silencers. Javabeanrush, You are correct there are some dream sequences where he also plays other characters. Thank you, for posting the link. I will check it out. Aki, Thank you. Both my husband and I love this movie so much, we added it to our ever growing DVD collection. Toto, Thank you. In my research of Stella Stevens, I was pleasantly surprised to find that she was in so many wonderful films. Theladyeve, Thank you. I agree, with your thoughts on this fun film. Excellent and enjoyable write-up, Dawn, filled with insightful and interesting trivia. This film has such a simple plot, but it's great, and I think "Buddy Love" is a wonderfully memorable name. I would definitely try an Alaskan Polar Bear Heater, especially for Stella Stevens, who looks stunning in the b/w photo. Stella Stevens ! Wow ! Girls ! Girls ! Girls ! The Invaders: "The Ivy Curtain"
Man vs. Machine in Fritz Lang's "Metropolis"